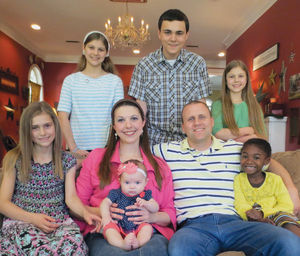 Kevin and Anna Long had five children – four biological children of their own and an adopted daughter. They thought their family was complete. After a big move from New York to Dothan, Alabama, the couple decided to add to their family, so they started researching options and discovered embryo adoption. That’s how their youngest daughter, Corrie joined the family.